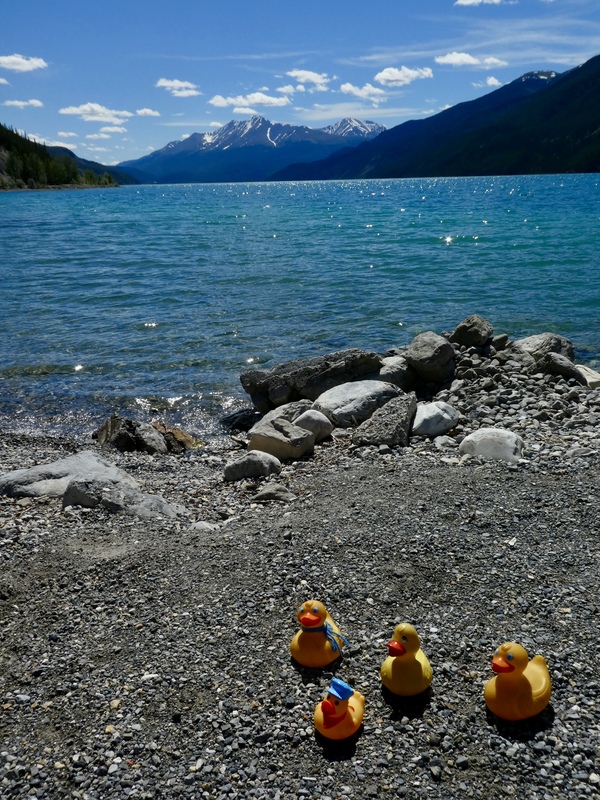 We may be in a different Canadian province, but the scenery is every bit as beautiful. Perhaps more trees and vegetation. And this. 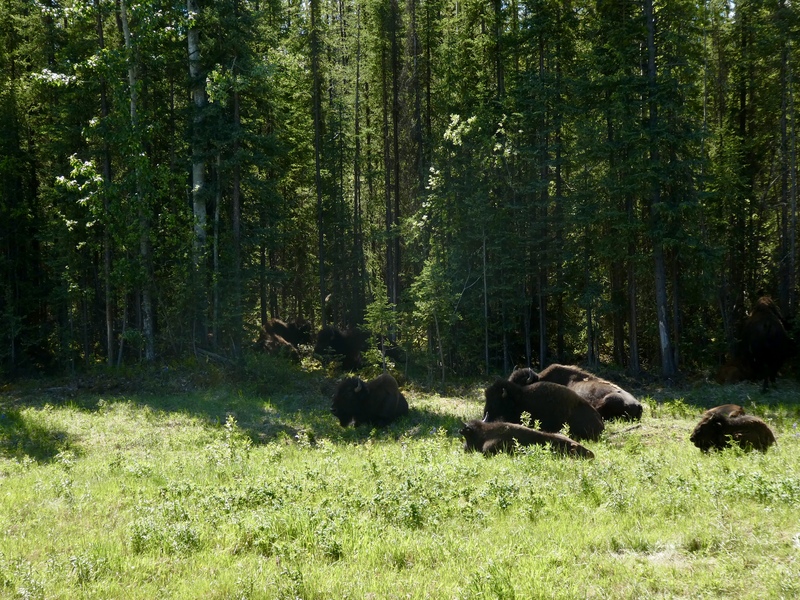 A small herd of bison. Road signs said to watch for bison, and here they are. And that forest is beautiful also. 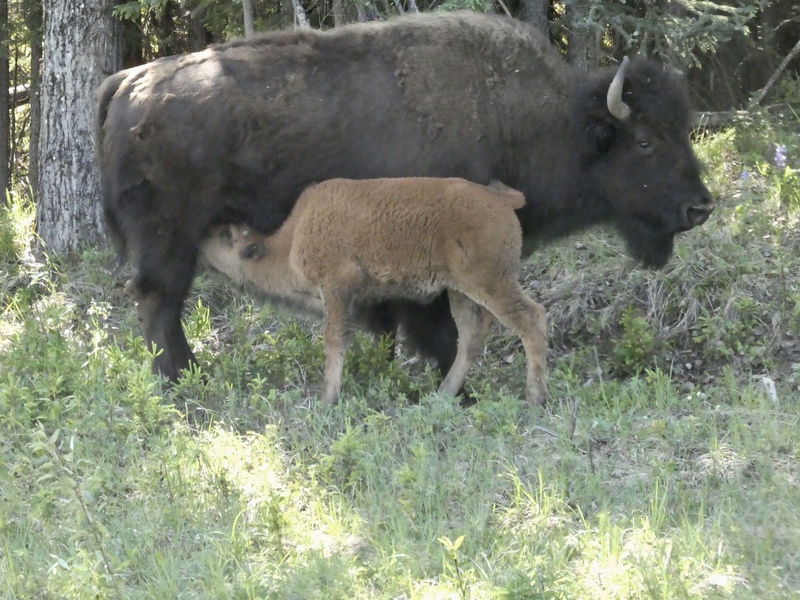 This mom bison wanted to move a little further on the grass, but baby said no. And they did not go until baby said it was time to move. Really no difference in behavior between human babies and bison babies. Babies, so small, but seem to be in charge of many things. Continuing we come to this magnificent bridge. 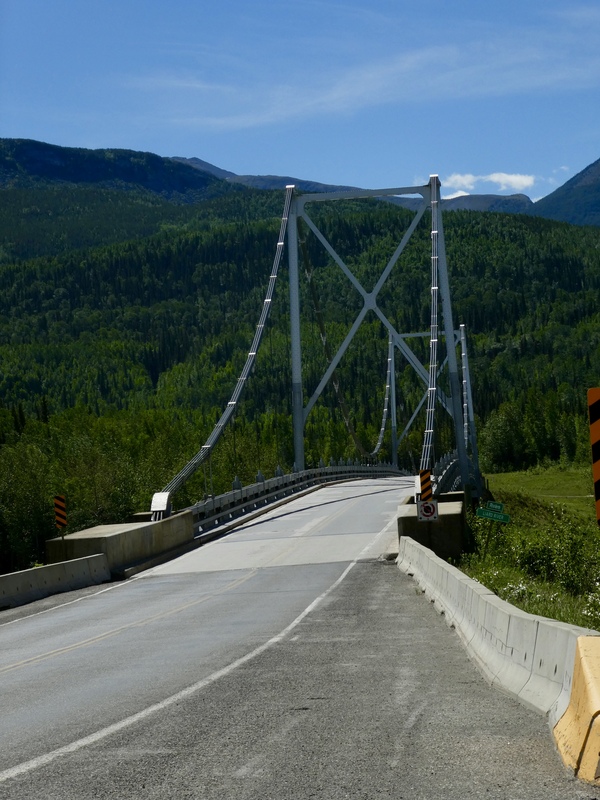 This is Lower Liard River Bridge. It is 24.65 meters (94 ft) tall and 307 meters (1143 feet) long. Built in 1943 this is the only suspension bridge on the Alaska Highway. Soon we see sheep. 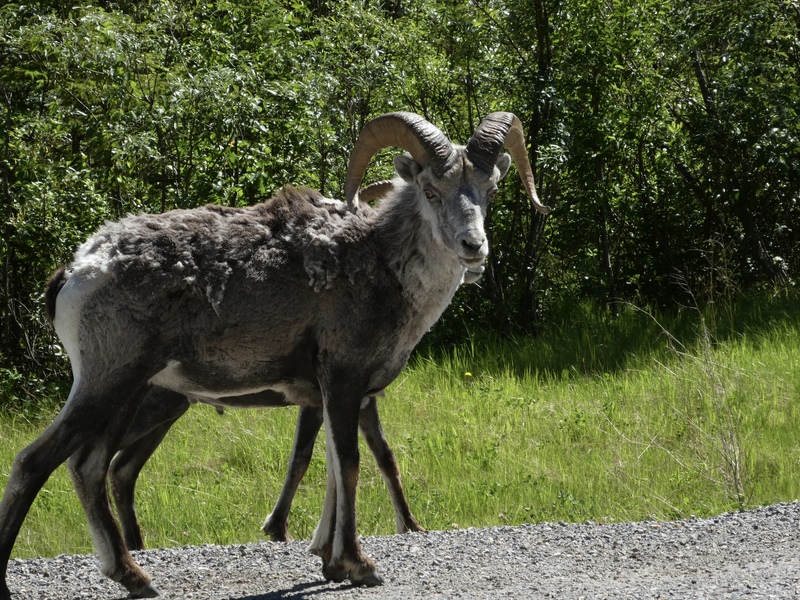 Milepost, the Alaska Travel Planner, says we are probably seeing Stone Sheep. This group is busy licking the ground for necessary minerals. But this one is watching us. Maybe he likes to watch traveling ducks as much as we like to watch Stone Sheep. 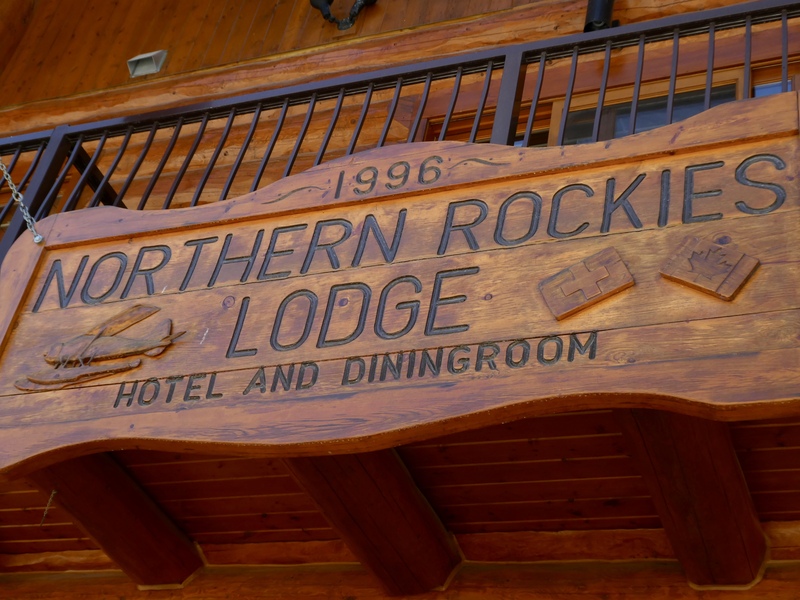 Here is Northern Rockies Lodge. 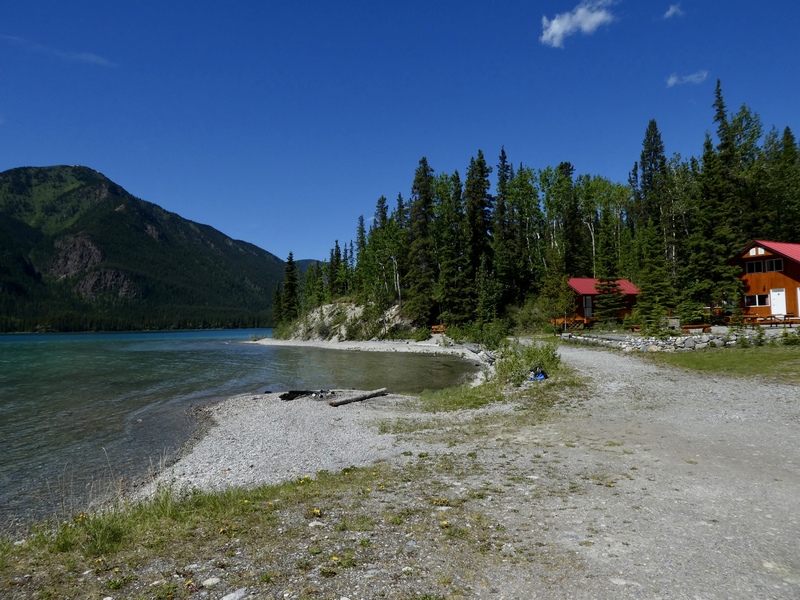 This lodge is located on the shores of beautiful Muncho Lake. If we are ever back here, we all want to stay at this lodge. And for a couple days. Look at this. 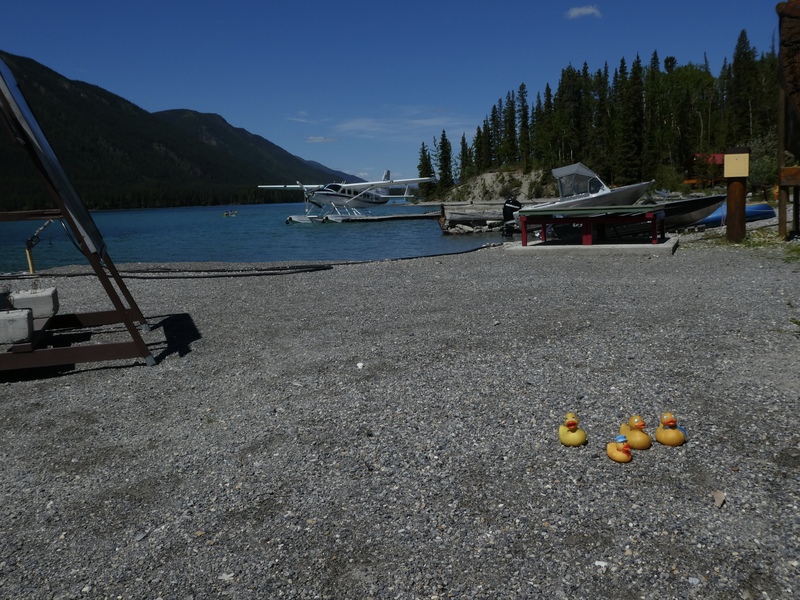 The float planes can take us out for a one day fishing trip. Or a sightseeing flight over this area. There are smaller boats here also. We saw some tourists on jet skis. Aren’t these cabins wonderful? We would love to stay in one. But we didn’t know about this lodge and we didn’t know when we would be here. Maybe another time? Here is our bear for today. 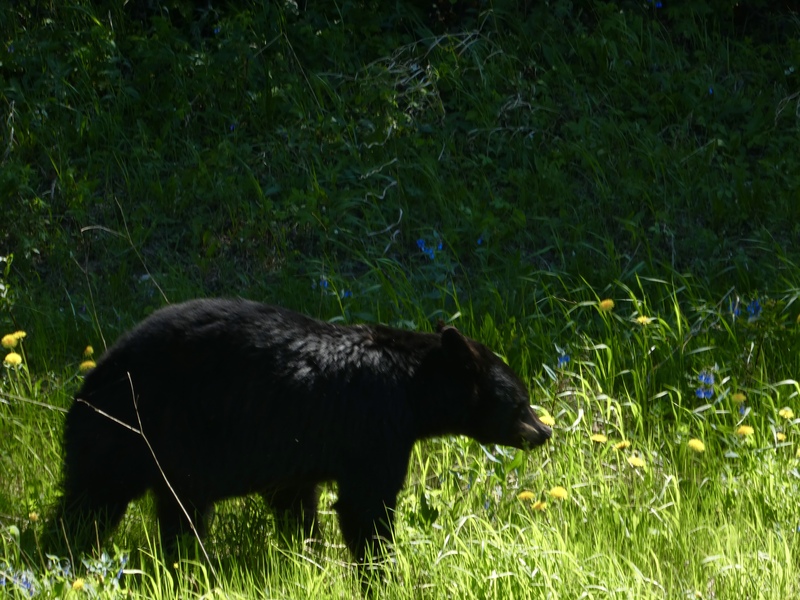 When we saw him, we didn’t know that this would be our last bear sighting on this trip. Maybe he did. He seems to be walking away from us. One last scenic view for this post. This is a view of the Sawtooth Mountains. Being from Colorado, we have beautiful mountains and gorgeous scenery. The difference here is a lack of humans. We can stop and watch whatever we want, and there are no other tourists here. 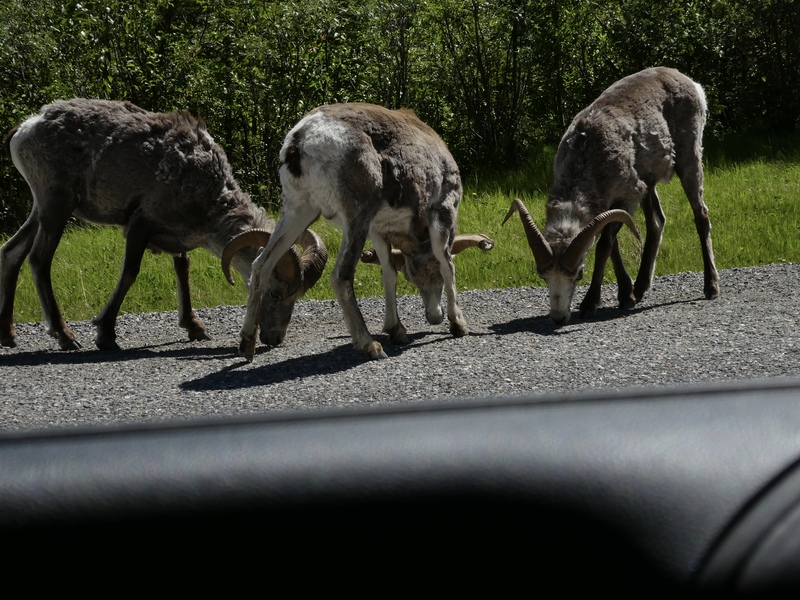 There is very little traffic on the Alaska Highway now. 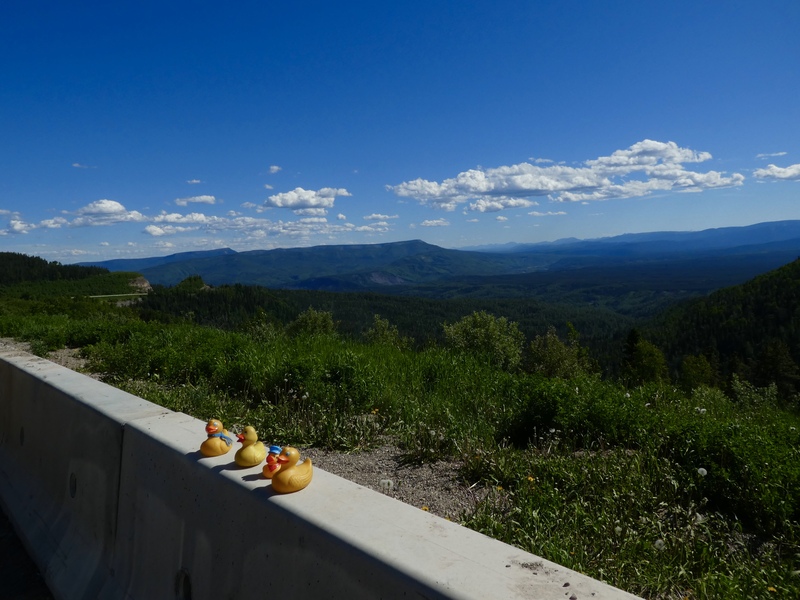 Perhaps later in the summer it will be more traveled, but now it is just perfect for us. We hope you take the time to discover this beautiful, uncrowded part of our world.